R-value is the measure of thermal resistance and the higher the R-value, the greater the insulating effectiveness. It is used to measure the resistance of heat flowing through a specific material based on its thickness. When you see a high R-value, it means that it more resistant to heat flow. In many cases, consumers think that this is the only thing that determines the quality of the insulation. However, there are four factors that go into determining the effectiveness of insulation for your home. The four factors are conduction, convection, air infiltration and radiation. Conduction is the factor measured by the R-value. It is the job of insulation to stop the flow of heat out of your home and keep it inside to warm the home in the winter months. The measurement of the R-value of a particular type of insulation is measured in a lab. However, you are not using your insulation in a lab setting. Each day, your home is affected by circumstances that are not measured in a lab like humidity, wind and temperature changes. These circumstances can change the pressure difference between the interior and exterior walls of your home. The pressure difference can also be the result of wind, rising hot air and forced air from various mechanical systems in your home. These pressure differences will allow your heated air to move into areas in your home that are unheated such as your attic, basement or garage. When you look at your home, all you see is a solid building made from building materials. Inside these building materials, there can be small gaps and fissures that your heated air can be forced through when there is a pressure difference between your interior and exterior walls. Due to these differences, you need to pay attention to the other three factors or your insulation with a high R-value will not meet the challenges created by these outside forces. For the best insulation possible, you will want one that has a high R-value. Next it should be sprayed applied or pneumatically applied to ensure the space is fully filled with insulation. This will avoid heat loss through convection. 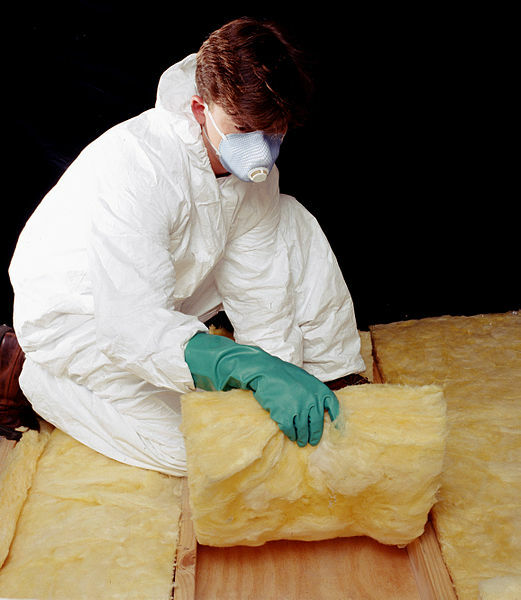 Your insulation must be densely packed to keep from losing heat through radiation and air infiltration. If you get the right balance of these four factors in your home, you will find that your energy bills are lower, and your home is more energy efficient during the winter months. To learn more about R-value, contact USI online to get a free quote. USI believes that excellence in every step of the process ensures timely completion and quality service, time after time.